In the past few years, the UK has suffered from extremes of temperature, from prolonged sub-zero conditions in winter to the 2013 summer heat wave. Extremes of temperature can affect your vehicle in a variety of ways, so read on to discover how to maintain your vehicle and stay safe in either arctic or scorching weather conditions. If you’re setting off for your summer holidays, the last thing you want is to be sitting by the road waiting for recovery. So you should complete the following checks before setting off on a long journey when it’s very hot. Check your oil – oil not only lubricates the engine but also helps cool it. Check your coolant (anti-freeze) levels. Your radiator cools the engine but to function properly it needs both water and coolant. Check the liquid level in the coolant reservoir (normally a plastic box near the radiator) and make sure the liquid is yellow, red, blue, or green, as this is the colour of coolant. If the water is clear or rusty looking, you should flush it out and add antifreeze in a 50:50 mix of water and coolant. Remember never to do this when the engine is hot as you can crack the engine block and ruin the engine. Keep an eye on the temperature gauge. 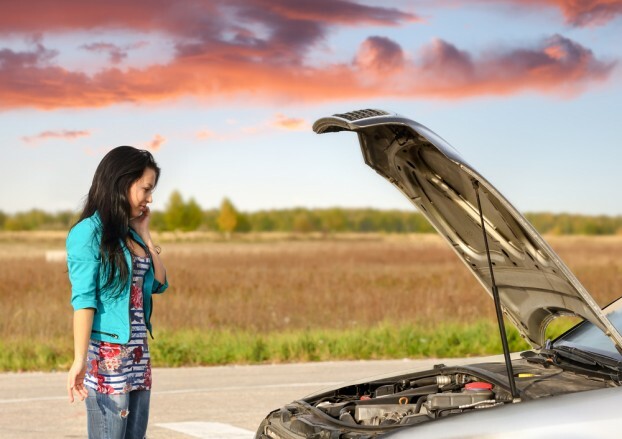 If your car starts to overheat, pull in for at least half an hour and wait for the engine to cool. Not only can tempers rise in hot weather, but so can tyre pressures. Check yours are at a safe pressure level as over inflated tyres can blow out. Breaking down in summer can cause inconvenience, but in winter can be dangerous. So you should do all you can to prepare yourself and your car for travelling in very cold conditions. If you’re setting out on a journey in cold, snowy or icy weather make sure you have a survival pack. This should include blankets, torch, spade, thermos, de-icer, and jump leads. Always consider whether your journey is essential, and if you must travel, allow extra time. Keep the battery topped up with longer journeys – cold weather drains batteries. Check your tyre pressure and tread depth. The RAC recommends at least 3 mm for wintery weather. You should also make sure your lights work properly, that your wiper blades function properly, and that you use screen wash to help prevent freezing. Regular car servicing helps – breaking down on a snowy windswept Salisbury Plain waiting for help wouldn’t be a good way to start a Christmas holiday. Keep a full tank of petrol in case you need to make a diversion or get stuck and need to keep the car running for heat. However, make sure your exhaust does not get blocked with snow. This will cause the car to fill with poisonous fumes and cause death. To pull away in snow, put the car into second gear. When it’s icy stay in a low gear and try and avoid braking – especially when descending steep hills. Rob Rudd prefers cycling to driving but when needs must he likes to make sure his car is safe to drive. He lives in Portsmouth, UK with his wife and 3 children.